I would love if it were possible to simulate natural behaviour of your neck when turning your head beyond 90°. 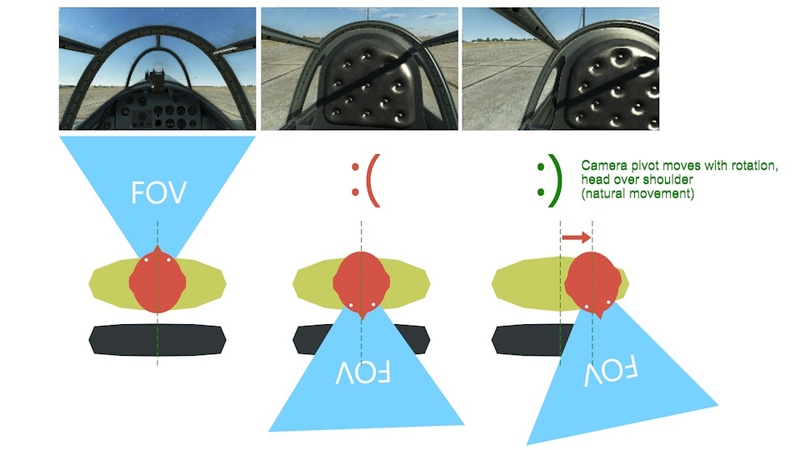 To be more specific, instead of being able to move your head 180° without impairment like an owl, I would love to have yaw beyond 90°to directly influence x-axis behavior in the same direction. This picture clearly shows what I mean.